Show your kid’s teacher how much you appreciate their hard work with a little help from McAlister’s Deli! Teachers have a demanding job so it’s only fair to show them some extra love during Teacher Appreciation Week, May 6-10, 2019. I asked Mitch who his favorite teacher is, and I was surprised that it’s STILL his 4th grade teacher! She must have really left an impact on my kiddo. To thank her for all her hard work, we are going to nominate her for the “McAlister’s Deli Loves Teachers” contest! 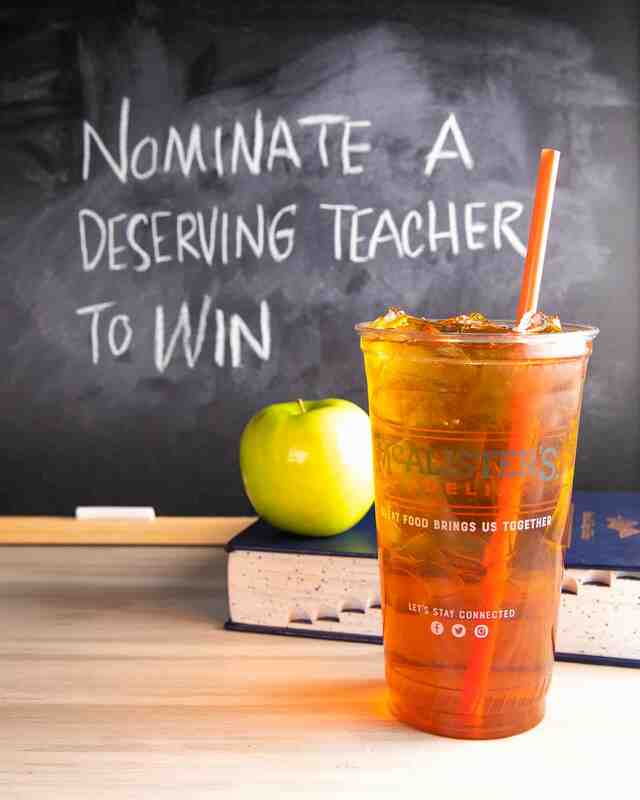 Now through April 21 you can nominate your favorite teacher online here for the “McAlister’s Deli Loves Teachers” contest. Three amazing teachers will be selected to receive a $1000 prize and a catered classroom treat. Many more teachers from across the country will be recognized localled with great prizes from gift cards to free meals. You must be 18 and over to enter, so help your kid’s out with the entry. No purchase is required to enter, so you can do it right now from your phone! I think during Teacher Appreciation Week I’ll drop by our elementary school and give Mitch’s favorite teacher a couple McAlister’s Deli cookies…or maybe a whole tray for the teacher’s lounge! And the bonus part of bring them a sweet treat is during Teacher Appreciation week (May 6-10) everyone is a winner! Why? Because McAlister’s is giving 75 cents from EVERY SUGAR COOKIE sold to your local school system (up to $1000 per store)! Stop in to your local McAlister’s Deli and buy a cookie for your kid, or maybe a whole bunch for your favorite teachers!